Every child is born with unlimited Mind Power but fail to utilize well as he/she doesn’t know how to utilize the power of subconscious mind. NLP can help students become super – achiever in their studies /life. Mastering the NLP techniques, will help the student counsellors to help children and people with learning disabilities, negative behaviours, phobia, grief, anxiety, stress and depression. NLP being a part of the counselling psychology syllabus and the growing need of psychologist to master NLP techniques it was felt by the department the need to train their students with NLP techniques. 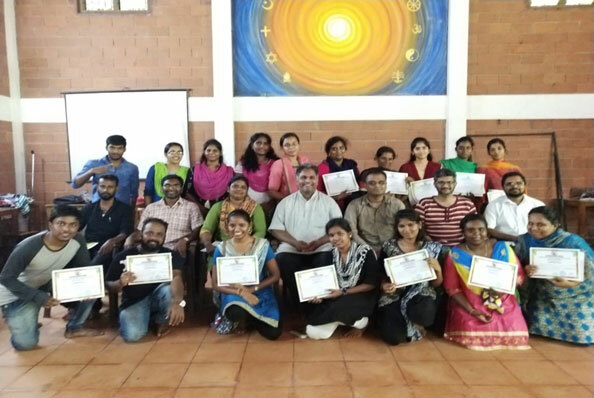 On 22nd November, 2015, twenty students of the PG Department of Counselling Psychology along with two staffs attended the workshop on Neuro Linguistic Programme (Basic), organised by Atmamitra centre for guidance and counselling of students, at Kalady Kerala. Overall people from all walks of life participated in the workshop. The workshop was conducted by Fr. Toby Joseph SJ, an expert in NLP. Fr. 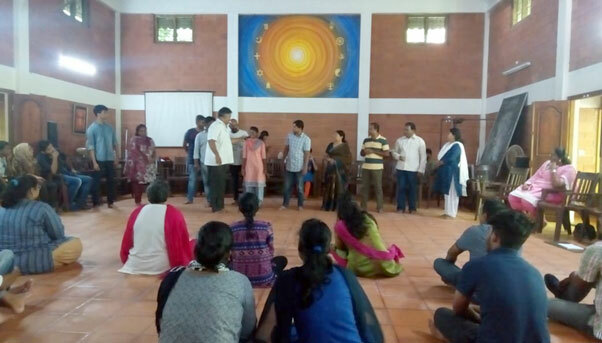 Toby Joseph SJ efficiently handled the basic of NLP and the students were able to involve completely in the process of healing and learning. The workshop was successful in immersing the students to help themselves in healing and to help others to heal. The atmosphere surrounded with lots of trees and in the embrace of Periyaar river engulfed the students in involvement and learning. Ultimately, five days of workshop on Neuro Linguistic Programming was a grand success in developing the skills of the students which will be of great use for them in the counselling process.